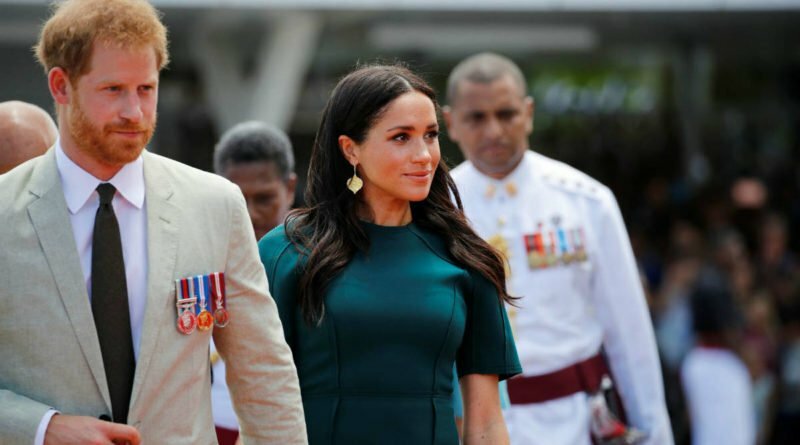 The royal couple was walking around the market on the Pacific island of Tonga when they noticed the item among the sales. However, they refused to take the gift, a turtle-shaped necklace carved from black coral, due to strict environmental rules. Eco groups say that it goes against the sustainability practices that support healthy oceans to harvest or take away items such as black coral, Triton trumpet shells or turtle shells. 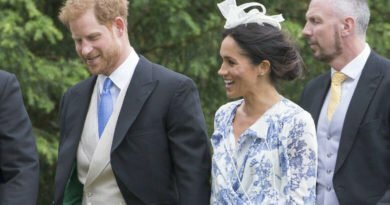 Both the Duke and Duchess politely turned down the vendor, which offered the item as a gift. 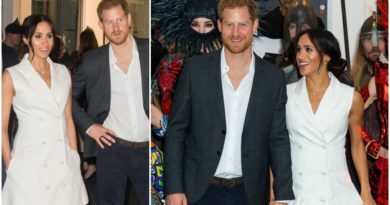 According to royal sources, it was because they both were aware of the nature of the item. There is also the fact that they wouldn’t have been able to take it home with them, as there are strict Australian import laws that would forbid that. 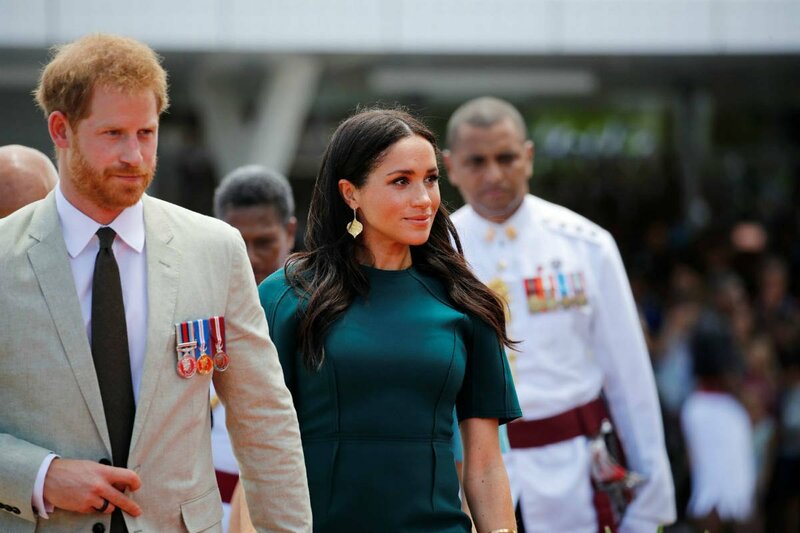 Salome Tesi, who was stationed at the first stall the Royals came to in the market, said that the couple looked interested to see the display of a tree-like black coral, but refused to take away the carved necklace in the shape of a turtle. “They asked about where it came from,” she said. “We offered them a necklace as a gift and they said they liked it. During their tour, the couple got tons of unusual gifts, such as carrots, UGG boots, and even a roast pig. 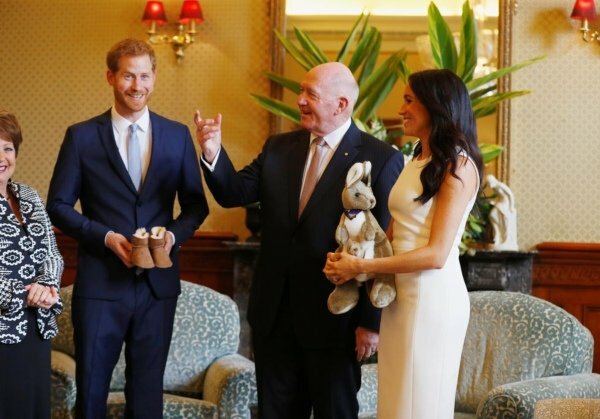 The Duke and Duchess of Sussex also got their first ever baby gift on tour-a cuddly toy kangaroo. Other gifts include a wide-brimmed Akubra hat, made popular by the Hollywood classic Crocodile Dundee. 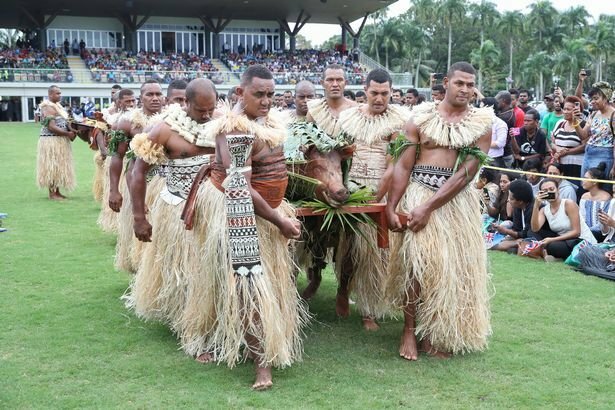 From the people of Fiji, they were offered a roast pig, a whale’s tooth necklace and a taste of the traditional local brew kava. 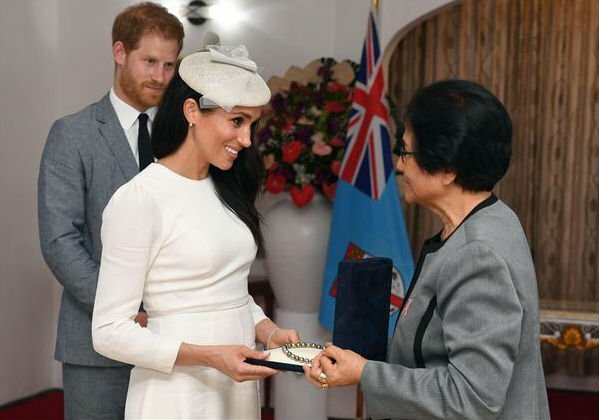 Harry and Meghan were sitting on stage when Harry was given the whale’s tooth, which is a sign of wealth in the Wakatobi before he was given kava, a local drink made from a mashed plant root in the yaqona chaturanga. 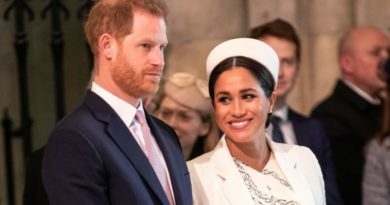 Meghan was also showered with gifts. She was gifted a pearl necklace by the President of Fiji on the first day of their visit to Fiji. Prince Harry was also given a gift from Team Australia during an interview with the Invictus Games Athletes on Sunday. The gift, a pair of swimming trunks.